UzSWLU MUN is a new diplomatic event offering fresh ideas and enhancement of diplomatic skills of the youth. It is held to acquire the attitude of the youth towards Sustainable Development Goals and inspire them to contribute to the global development. 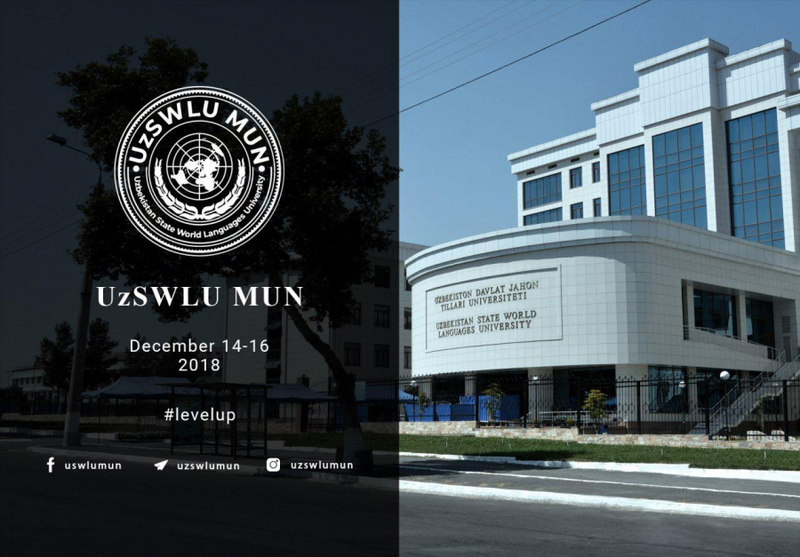 UzSWLU is aiming to guide youth engagement in the MUN Conference, particularly with regards to the implementation, follow-up, review and solution seeking against global obstacles that are threatening the life of the global population. By being of this event you will have a chance to witness the new semblance of Uzbekistan that is made up of modern and historical shades. In addition, participants of UzSWLU MUN will have opportunities to learn and better their erudition regarding the most acute world problems, to improve public speaking skills, problem solving skills, to negotiate and of course to make new friends. Agenda: Supporting the involvement of Women in governance and decision-making. Not the biggest in the world, but the best one! Level up in Model United Nations history! Register now!